If knowing is half the battle, operating without any immediate awareness of the electromagnetic spectrum risks starting every fight half-beaten. Such is the nature of this mostly invisible domain, where signals and sensors roam but human eyes are limited to the aptly named visible part of the spectrum. To operate on the modern battlefield, soldiers need some way to see the otherwise-invisible spectrums around them, and at the 17th Annual C4ISRNET conference, attendees got a peek into what goes into getting a meaningful capability in the hands of those that need it. It doesn’t even require getting it right the first time. “If we have the wrong piece of equipment out there, but we have a piece of equipment out there, we can learn from that,” said Col. Mark Dotson, the Army Training and Doctrine Command Capability Manager for electronic warfare and spectrum management operations at the U.S. Army Cyber Center of Excellence. Dotson was speaking to the perpetual challenge of the Pentagon specifically and acquisitions more generally. In the time it takes to formulate a perfect tool, iterate that tool in a lab, and then field it, the situation has changed and the tool has at best diminished utility. While Dotson doesn’t work specifically in acquisitions, he works adjacent to acquisitions, and that means figuring out what soldiers need, what soldiers need right now, and what soldiers will need in the future. To get to that future, the world where the full electromagnetic spectrum is rendered visible and intelligible to those who need it, means defining capabilities broadly, iterating design in the field as much as possible, and making meaningful updates to the tools troops have with them. In other words, it means treating weapons, especially non-kinetic ones, like software. Asked for a specific example, Dotson cited the Electronic Warfare Planning and Management Tool (EWPMT), which lets commanders see what is happening in the spectrum, make sure no signals are interfering with each other, and track attacks like jamming that happen invisibly but create tangible outcomes. EWMPT rolled out in 2016, and is designed to be upgraded in stages, allowing people in the field to have something while future parts are crafted to meet new needs. Yet even the planned iteration schedule wasn’t enough, so the team rolled out a real wizard solution. As is the nature of war, this need for new capabilities was driven by encounters with changes made by adversaries. Raven Claw came about because of new Russian jamming techniques encountered in Europe, and the limitations of EWMPT as received. By adding a feature that lets the tool share data, Raven Claw makes it easier for soldiers to collaborate against whatever threats against them slither into the electromagnetic domain. Even more importantly, if the connection between units is lost, the Raven Claw can still retain the last portrait of electromagnetic threats around them. Capabilities in this space evolve fast, but they don’t evolve that fast, so the unit will likely still have some form of useful intelligence until it can link up again for a more complete picture. Beyond the specific case of EWMPT, a focus more on open-ended needs from commanders and units in theater will shift acquisitions to allow both acquisitions and industry to more readily build the tools actually needed, when they’re needed. 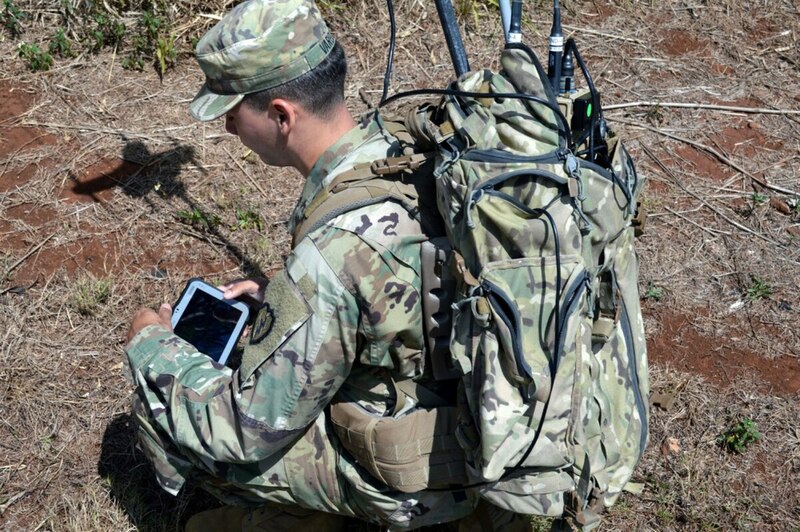 In order to keep pace with the future of war, the Army might have to accept fielding initially subpar capabilities, and then wait for the software that powers them to get updates and patches that deliver on the initial promise. Which is to say, to thrive in electronic warfare, the Army will have to come around to the way everyone already operates in electronic civilian life.